In 1970 and 1973, nearly thirty years before the US's Mars rovers, the Soviet Union landed two robotic explorers, Lunokhod 1 and 2, on the moon. They were equipped with panoramic television cameras and some other instruments. The hinged top was full of solar cells and opened up like a clamshell. They ran for months; Lunokhod 2 still holds the distance record [37+km] for extraterrestrial surface travel. 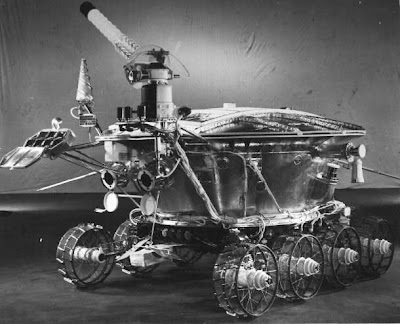 Contact with Lunokhod 1 [pictured above, but they look basically the same] was lost in the 1970s, but using laser ranging, they've sited Lunokhod 2 and its landing vehicle, Luna 21 with sub-meter accuracy. It's around the Le Monnier crater. Which may be why the contractor, Luvochkin, felt comfortable putting title to Lunokhod 2 and Luna 21 up for auction at Sotheby's in 1993. Together they sold for $68,500, delivery not included. The buyer was Richard Garriott, aka Lord British, the guy who started Ultima. His dad was an astronaut on Skylab and the Space Shuttle. 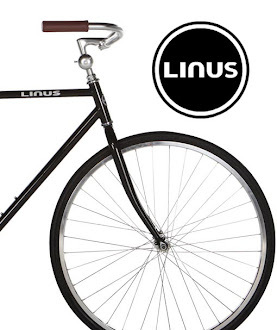 He also owns a Sputnik. This is the craziest thing I've heard all weekend, and it has even been one of those weekends.